Slime Recordings artist Pikcha serves up the second DPM Radio instalment, taking you through House, Garage, Dubstep and throwing in some Grime for good measure. 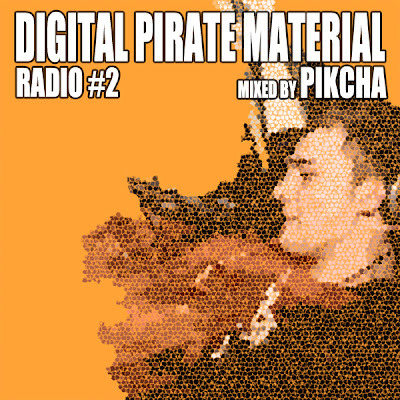 I fired some quick questions over to Pickha below, including details of his latest release and asked him to talk about the DPM Radio mix. The track list for the mix can be found at the bottom of this post. Produce Deep House and UKG, but spin all sorts from DNB to Hip-Hop. Where can we hear your stuff? How long have you been producing/playing sets? Started producing when I was about 16, but didn't make a track worth listening to until a year or two back. Started DJing around 2009 when I got a pair of CDJs. Just put out a two-track EP on Slime Recordings called 'Echoes'. It's been available on Juno since 16th April and you can grab it in most online stores from 23rd April. It's been riding high in the Top 10 of both the UKG and Deep House charts. A few collabortations in the pipeline that I'm excited about, along with a few new tracks that should be surfacing on soundcloud pretty soon! Finally, tell us a little bit about the mix? The mix takes you from some chilled summer deep house vibes, right through to garage and dubstep. Theres a few of my favourite tunes in there, along with a few new tunes from some big artists. DPM Radio Mixes can also be downloaded straight from the DPM Facebook page. Pikcha's 'In Echoes' is out now released by Slime Recordings. All DPM Radio mixes will be archived on the DPM Mixcloud.